In a massive expansion drive, aimed to provide quality eye-care services, the Hyderabad base Dr Agarwal’s eye hospital is targeting to reach a milestone of launching 140 new centers in India, Africa, Combodia, and Philippines. The hospital currently has 60 full fledged hospitals in India, 12 in Africa, and one in Combodia. “We are looking at large investments. Rs 200 crore plus will be invested in first phase as part of this expansion plan. 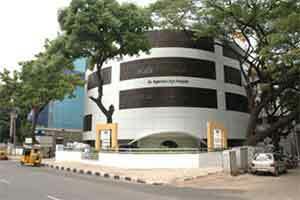 The amount will be raised through internal sources and debt…raising money is not an issue…the aim is delivery of high quality eye care at the doorstep to everybody,” said Dr Amar Agarwal, Chairman and Managing Director of the Chennai-headquartered Dr Agarwal’s Group of Eye Hospitals to PTI. We are looking at opening 15-20 more centres in Africa besides Vietnam and Philippines,” he said. These facts were reported during the inauguration of the fifth branch of the hospital in Hyderabad recently. The event saw a lot of fanfare with Tollywood actor Rana Daggubati launching the new branch. The hospital currently employs a group of 2,500 people including 250 eye doctors, to deliver quality eye care services round-the-clock. Almost 7,000 to 10,000 surgeries are performed each month with an equal tally of OPD patients in attendance.